Kind of underwhelming when the worst people benefit the most (The Block). I can't wait until they bring back Dancing with the Stars Australia. Hopefully they cast better celebrities this time. They need to change the dancers as well. Some have been on the show for too long and it got boring. Big night of good/trash tv tonight. Doctor Who, Whovians, Family Food Fight, Bride & Prejudice, Wanted, Blind Date, Have You Been Paying Attention. 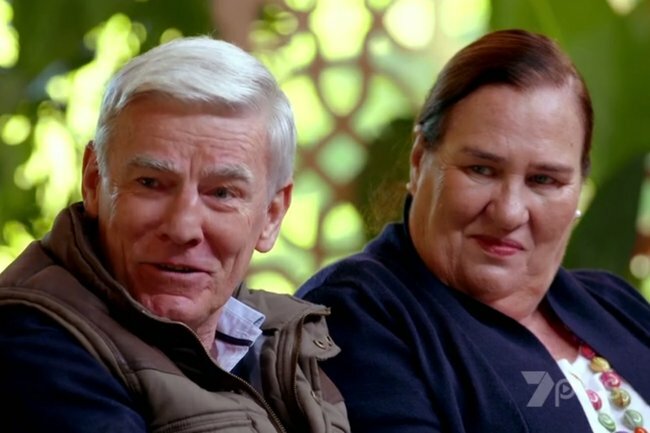 Ooh, Spicks and Specks reunion on Sunday night. What the hell? Is this The Walking Dead TNG? "She's a feminist vegetarian" is probably my favourite reason for someone hating someone, ever. You couldn't script it. Wouldn't you look at the 2 of them and never be able to be intimate with him without seeing his twin mother? The 2 look-alike white Dad's seem so familiar, as if I have seen them before, in adds or shows, are they actors???? Apparently Joe Jonas is not returning to The Voice next year. Horrible news. Guy Sebastian has replaced him. I saw this a few minutes ago. I am disgusted and I won't be watching. He is no Joe Jonas, that's for sure. Well for one thing is name is spelt completely differently. Another thing is that Joe Jonas is an international superstar with millions of fans. I would argue that Tina doesn't even have a fifth of a million of fans yet alone a million. Her albums have sold millions of copies. That doesn't mean that she has millions of fans. Could be the same people buying them and that number is spread among all of her albums.